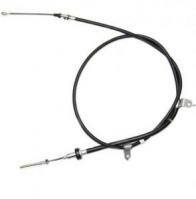 Suzuki Carry Front Emergency Brake Cable DA62T DA63T. Connects Brake Handle to Rear Cables. include chassis number when ordering.